Leonard Burton is a Senior Fellow at the Washington DC based, Center for the Study of Social Policy (CSSP). In 2015, CSSP named Burton one of its senior fellows—distinguished leaders who work with CSSP to expand its influence and impact by generating new ideas, policies and strategies to improve results for children, families and communities. He is a part of the system’s reform team and plays a key role in leading CSSP’s Youth Thrive initiative, helping engage state and local partners in the Youth Thrive™ work to ensure healthy development and well-being for all youth, especially those involved in intervening systems like foster care and juvenile justice. Leonard also supports CSSP’s work in Ferguson, Missouri, to promote and sustain equitable mixed income communities, through the Innovation and Action Network a strategic alliance with the National Initiative on Mixed Income Communities (NIMC) at Case Western Reserve University, and Urban Strategies, Inc.
Burton’s professional career spans over two decades with a track record of achieving results in the human services field including philanthropy, public agencies, and community and faith based programming. Working to eradicate disparate treatment and disproportionate minority contact has cut across many of Mr. Burton’s work experiences. 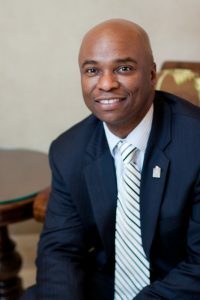 Prior to joining CSSP, Burton was chief operating officer at the once the private grant making foundation Jim Casey Youth Opportunities Initiative. In that role, he helped lead work in 15 states and nationally to make sure that youth leaving foster-care have resources, including education, jobs, housing and lifelong family connections. While there Mr. Burton established a successful co-investment strategy with other funders, fortified a nationally recognized youth engagement strategy, increased partnerships with new jurisdictions, launched an effective public awareness campaign, expanded staff capacity, and manualized site based interventions. Between 1996 and 2003 Mr. Burton held several senior management and leadership positions with the Tennessee Department of Children’s Services (DCS), including Assistant Commissioner of Child Welfare and Regional Field Services, Special Executive Assistant to the Commissioner assisting in managing the daily operations and a $500 million annual budget, Director of Policy Development, Title VI Coordinator, and Director of Foster Care. Leonard was a key leader in laying the foundation for reforming Tennessee’s child welfare and juvenile justice systems. He was directly involved in reducing reliance on congregate care, qualitatively improving engagement with families and instituting a new model of casework practice. In 1989, while on active duty in the US Army, he served as a part-time community advocate working with “at-risk” youth. In 1991, he received an honorable discharge and returned home from Operation Desert Storm to become the first Program Director of a new community-based, grass roots program for “at-risk” African American youth. He was the director of the Daniel Payne Christian Child Care Center, Vice President of Business Development for RCI Holdings Inc., a senior level consultant with M&B Consulting LLC, and supervisor of the quasi governmental Assessment and Care Coordination Team in Tennessee. These professional experiences have provided him with functional expertise in areas such as organizational management, youth development, family centered practice, operations, and policy analysis. He has drafted numerous governmental policies and is co-author of the publication Supporting Youth in Transition to Adulthood: Lessons Learned from Child Welfare and Juvenile Justice. Mr. Burton possesses a Masters of Education in Administration and Supervision from Tennessee State University, a Bachelor of Arts in Public Management from Austin Peay State University and a diploma in Patient Administration from the U.S. Army – Academy of Health Sciences. He is a graduate of the Tennessee Government Executive Institute and holds a certificate from the Center for Creative Leadership. Mr. Burton has established himself as an effective, high energy, visionary manager with exceptional administrative and leadership skills. A man of high ideals and integrity, he holds memberships in several organizations, has served on numerous councils and boards including Child Trends and Black Administrators in Child Welfare.